I am a member of Colliers’ Landlord Services Group specializing in the leasing and marketing of office properties on behalf of private and institutional ownerships. I have extensive deal experience representing owners repositioning assets as well as adaptive reuse projects. Some notable leases include Konica Minolta, UPS, Industrious Office, Northside Hospital, Hill-Rom, Interfor, Pure Auto, Char-Broil, Lexis Nexis and Moreland Altobelli. Prior to joining Colliers International in 2009, I was a Real Estate Manager for CBRE in Memphis, TN where I managed half a million square feet of downtown high-rise office and retail at Peabody Place for Belz Enterprises in Memphis. "Colliers has been managing and leasing our property for 6 years. They continue providing outstanding communication and customer service while responding rapidly to all owner and tenant requests. The team is very knowledgeable about the market and property and proactive in addressing issues which, in turn, has resulted in extremely high tenant and owner satisfaction. Their leadership has set high standards for the tenants in the building as well as for the vendors providing services. We’re glad to have Colliers working with us as partners on a daily basis. Our only regret is we don’t have more buildings for them to manage." Crow Holdings, Goddard Investment Group, Ares Management, New City Properties, Sweetwater Holdings, Sealy & Company, Dau Global Investments, Baker Dennard & Goetz, First Industrial, Assurant, GF Capital, DuRhone Group, Levin Properties and Colony Capital. I am responsible for the Landlord Services Group at Colliers Atlanta, directing the team representing owners and investors in the leasing of office space in the Market. I have spent a significant portion of my career (19 years) on the development side of the business providing lead tenant leases for new office development in Atlanta, Birmingham, Nashville, and Charlotte. I was also responsible with the balance of lease up and managing teams in each location. Since 2011, I have lead the Colliers Landlord Services team growing the portfolio to over 8.5 million SF of class A & B office properties. 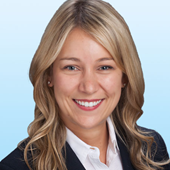 Prior to joining Colliers, I was the Senior Managing Director of Leasing, Marketing and Property Management at Barry Real Estate Companies, responsible for the leasing and management of all Barry Companies Properties as well as approximately 3 million RSF of third party management and leasing assignments. I began my real estate career in 1983 working for Koger Properties. In 1985, I joined Portman Barry, representing approximately 1,500,000 RSF. 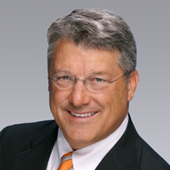 I worked with Portman Barry through 1990, when I joined Grubb & Ellis and helped to start the National Corporate Services Group working with clients such as IBM, Wassau and the precursor to AT&T Wireless. In 1985, I joined Faison as Leasing Agent for Northpark Town Center and quickly moved to oversee leasing of the 6 million RSF portfolio. In 1997, I once again joined Hal Barry and Chris Schoen to form Barry Real Estate Companies to lead the Leasing and Property Management efforts. In addition to the Atlanta Office Market, I have been very active in the Nashville and the Birmingham Office markets, over the past 15 years. During my tenure at Barry, my team and I were instrumental in completing lease transactions that lead to new building development and the balance of the lease up of over 4 million square feet in Atlanta, Birmingham, Nashville, Orlando, Dallas and Charlotte. I am a member of the Landlord Services Group at Colliers International – Atlanta, LLC, where I specialize in the marketing and leasing of commercial office space. I have over 20 years of landlord experience with both institutional and privately owned real estate holdings crossing multiple property types; office, mixed-use, adaptive reuse, loft, historic, industrial and retail. I began my career with LaSalle Partners working on Class A high-rise projects such as Monarch Center, One Buckhead Plaza and Two Buckhead Plaza, but my concentration over the last 13 years has been on unique assets within the “in-town” submarkets including buildings such as 180 Peachtree, Carriage Works, The Candler Building, 100 Peachtree (Equitable Building) and Northyards. I have become a market leader on in-town projects demanded by technology and creative firms because of my passion to get into the weeds of the community, to understand the players, the trends and what’s happening in between. My understanding of what both start-ups and established corporate users need to stay competitive, compete for talent and succeed has allowed me to not only advise my clients on deal terms and budgets, but on ways to enhance the employee’s enjoyment through common elements and amenity offerings. I have extensive deal experience representing owners repositioning assets as well as ground-up projects and maintain strong relationships within the brokerage community and ownership community. I am a member of the Atlanta Commercial Board of Realtors, Metro Atlanta Chamber’s Technology Council, FinTech Council, a member of the Downtown Master Plan Working Group and the Central Atlanta Progress 2017 Economic Development Council Chair. I am a member of Colliers’ Landlord Services Group focusing primarily on the leasing and sale of office, industrial and medical office properties and land on behalf of private, institutional and public ownerships. Some of my clients have included: Healthcare Realty Trust, Universal Health Realty Income Trust, Ziegler Healthcare Real Estate Advisors, Healthcare REIT, Inc. (Windrose), Panattoni, Equity Office Property trust, Beacon Properties, Crow Holdings, DuRhone Group, ELV Associates, Grove Street Partners, Lauth Property Group, MetLife, Opus South Corporation, Piedmont Office Realty Trust, Prudential Insurance Company of America, and Taylor & Mathis. I joined Colliers International in 2007 after serving as Senior Vice President and Chief Operating Officer with HealthAmerica Realty Group where I was in charge of operations and growing the medical third party leasing and management business. Having been actively involved in the commercial real estate industry since 1986, I have over 25 years of sales, leasing and marketing experience and have held positions with Equity Office Properties Trust, Beacon Properties Trust, Taylor & Mathis and White & Associates. I handle the marketing support for the Atlanta office's Landlord Services team. Prior to joining the team in November 2015 I worked in experiential event management for MKTG Inc on the DIageo portfolio and at United DIstributors. I currently assist Deming Fish, Chuck Francis, Scott O'Halloran, Lee Evans, Will Tyler, Reeve Henritze, and Scott DeMyer all brokers on the Atlanta Landlord Services Team. Emily brings a unique skill set to Office Tenant Representation. 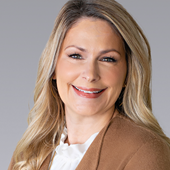 Combining professional experience with educational training, she utilizes a consultative style to help clients better understand the broader range of the decisions that create a real estate transaction. Emily offers eight years of experience in real estate services including construction management and furniture procurement. Emily’s passion in the market place is to connect her client’s business operations with real estate strategy creating intelligent work place solutions. Emily joined Colliers International in 2016 as an associate in the Office Services Group. In Emily’s most recent position, she served as VP of Business Development at Office Images, focusing on relationship and brand building in the Atlanta market. Prior to Office Images, Emily worked as a project manager at Turner Construction. I am the Client Services Coordinator for the Atlanta office's Landlord Services team. Prior to joining the team in September 2017 I worked in promotional event management at United DIstributors. I currently assist Deming Fish, Jessica Doyle, Lee Evans, Will Tyler, Scott DeMyer, and Emily Richardson on the Atlanta Landlord Services Team. Jessica is a key member of the Landlord Services Group with a dedicated focus on increasing asset value to office properties she represents. 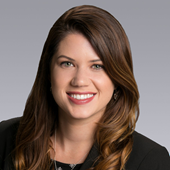 For the past six years, Jessica has worked directly on the institutional ownership side of the business and as such understands the significant impact her leasing efforts have on the valuation of a property. Her institutional background and creative nature are what set her apart. with Newmark Grubb Knight Frank exclusively representing local, regional, and institutional owners. Prior to that, Jessica was the Vice President of Leasing for Ackerman and Company. Jessica brings over 20 years of high level experience to the team.